← Is Hawaii a Candidate for International ICT Assistance? 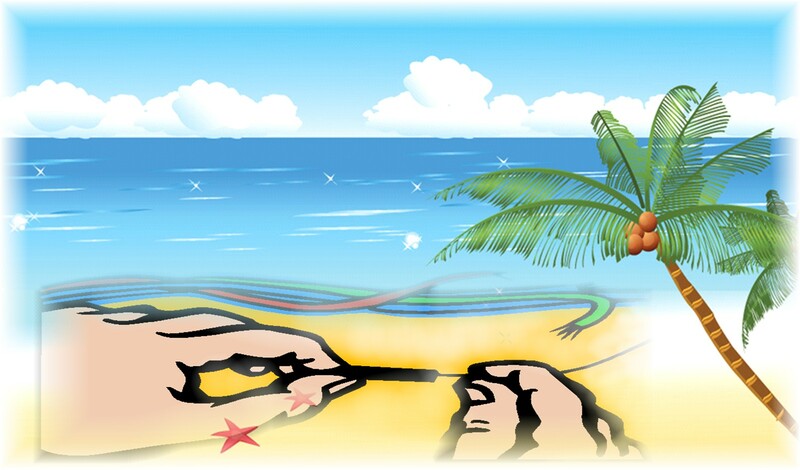 Hawaii Broadband – Deferred till 2010? 2011? 2012? What is the common verbiage of Hawaii’s broadband initiatives set in senate and house bills SB895, HB984, and HB1077? SB895 – 2/10/2009 Establishes the Hawaii Communications Commission (HCC), The committee(s) recommends that the measure be deferred. Carried over to 2010 Regular Session. HB984 – 5/11/2009 Implements key recommendations of the Hawaii broadband task force by establishing the Hawaii broadband commissioner (HBC). Carried over to 2010 Regular Session. HB1077 – 5/11/2009 Establishes the Hawaii Communications Commission (HCC) in the Department of Commerce and Consumer Affairs (DCCA). The committee on EDT-CPN deferred the measure. Carried over to 2010 Regular Session. The governor last jumped on the media bandwagon with her press conference in Feb 2009 announcing formation of the Hawaii Communications Commission. Yes, the bill listed above (SB895) which is deferred until the 2010 session. There may be budget problems, there may be difficulty understanding the scope of broadband communications in today’s society and economy. But the reality is all broadband bills are deferred, and at this point on hold. It is possible the University of Hawaii has not yet implemented Google search engines in their home pages, or a study of broadband communications in the university curriculum, although my own Google search on “broadband communications university curriculum” net 47,700 entries. And the fact Mr. Lassner is a member of the Internet 2 initiative. Jan 13, 2010. “The Hawaii Department of Commerce and Consumer Affairs will use a $1.9 million federal grant to map broadband availability in the state.” (West Hawaii Today). The intent is to let Hawaii’s telecom companies know what telecom and broadband infrastructure is already available in the state, and stimulate competition to develop more broadband opportunities and stimulate competition within the telecom community. As a 30+ year veteran of the telecommunications industry, from personal experience I can say that Hawaii’s telecom infrastructure is no secret to anybody who is already in the industry. Hawaiian Telcom, Time Warner, Sprint, Verizon, Clearwire, and all the others are made up of people who have both transferred between companies several times through the course of their careers, or participate in programs such as “Call Before You Dig” and city planning (yes, every conduit, cable, duct, and culvert have a corresponding license document and city planning approval) whenever a road is opened to lay conduit or cable, as well as hanging cable on utility poles. There are few, if any, secrets in the telecom infrastructure of Hawaii. Another $1.9 million dollar waste of taxpayer money. WASHINGTON – The Commerce Department‘s National Telecommunications and Information Administration (NTIA) and USDA‟s Rural Utilities Service (RUS) today announced availability of $4.8 billion in American Recovery and Reinvestment Act (ARRA) grants and loans to expand broadband access and adoption in America. This is the second funding round for the agencies‟ broadband programs. The investment will help bridge the technological divide, boost economic growth, and create jobs. Not all is lost. There are private companies that have taken the opportunity to apply for, and receive stimulus money. Aloha Broadband on the big island bagged $193,908 in stimulus money to further develop their broadband coverage in the northern part of the island, with plans to extend this to the Kona area. Good use of funding. That would indicate broadband is a good thing for Americans – which in my case includes Hawaii. If we are 49th in the nation (as claimed by PC Magazine), then we are suffering a serious shortfall in our capacity to meet the basics of our nation’s broadband vision. The government is not an Internet or Broadband Service Provider. Let’s not expect the state to lead us out of this embarrassing situation of lagging the United States in broadband technology. The government can play a role in making delivery of broadband services easy for commercial companies to deliver, offering incentives in taxes, licensing, planning approvals, or rights of way for companies who have the means to construct broadband infrastructure. Offer greater financial and tax incentives to deliver broadband to rural areas with a true shortfall in broadband access – and open that up for both cable and wireless models. LTE/4G wireless technologies with MIMO (multiple in, multiple out antennas) offer the potential of up to 1Gbps (gigabit per second) stationary subscriber access. That is enough for both HD Television AND broadband Internet access (including telephony and mobile phones). Force your representative to address the issue, and quit debating the meaning taxonomy of broadband. Make it simple – broadband is the availability of big, fat, dumb communications pipes. Give the telecom comp0anies an incentive to deliver big, fat, dumb pipes (BFDP). Once the BFDPs are available, the applications developers will follow. Data centers will follow. Schools will produce better, and more graduates with deeply diffused network-enabled knowledge, at the same level as Korean, Dutch, or Swedish kids. No more excuses, let’s start digging. Is Hawaii a Candidate for International ICT Assistance?